The Rio double-ended baths bring class and elegance into the bathroom, creating a contemporary focal point and adding a touch of style. The Rio collection offers 2 standard rectangular shaped baths that measure 170cm x 75cm - ideal for most bathrooms. 2 tap hole Rio baths can be paired with one of our deck mounted taps or a set of bath pillar taps. Our deck mounted tap range includes bath fillers and bath shower mixers. For Rio baths with 0 tap holes, these are perfectly complemented by a wall mounted tap or contemporary bath spout. The Twyford Galerie Callisto front and end bath panels are suitable for use with the Rio baths. 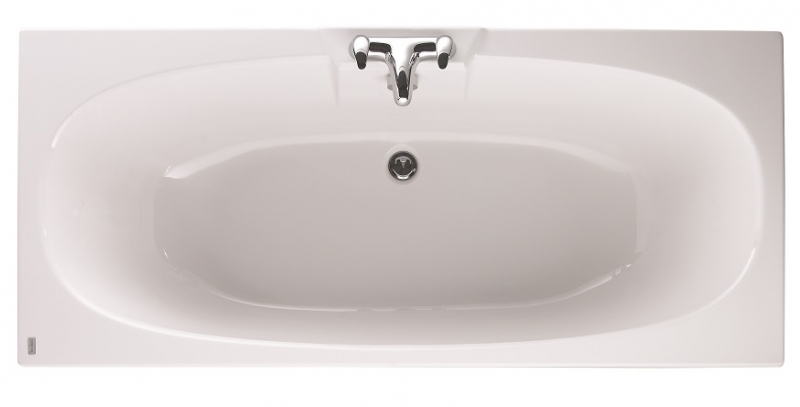 Perfect for the modern bathroom, the Rio baths also offer a 25 year warranty.